There are no end of myths about this but at the end of the day what we’re comparing here is thermal energy. How much of it is produced, by what and how much does it cost. To compare gas heater and air conditioner running costs please initially have a look at posts on air conditioner running costs and ducted gas heating running costs. 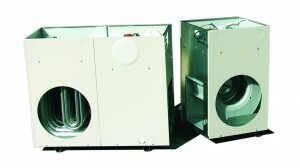 About as close a comparison as you can get is the Braemar THM623 ducted gas heater. This is the only 6 star gas heater in the world, so you know efficiency is right up there. It produces 22.5kW of thermal energy when running flat out during which time it will consume 88MJ of gas. Against this we’ll put the new Daikin FDYQ200L, the latest in a long line of quality products from the world’s leading air conditioner manufacturer. This system, when running flat out, produces 22.4kW of thermal energy and consumes 6.17kW of electricity. 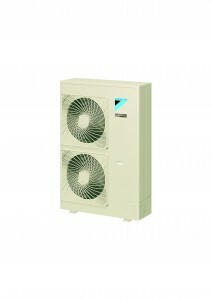 Against this the Daikin FDYQ200L will consume 6.17kW of electricity. The cost here is not quite so simple as there are several different tariffs on the AGL Freedom 3+ electricity plan. So, it’s going to be a really cold night and Mum turns the Braemar THM623 ducted gas heater on at 3.30pm; she sets set point at 20C and makes sure all external doors and windows are closed. The system runs at 100% for 30 minutes then 70% for another 30 minutes before settling down to 40% for the rest of the day and night. They turn the system off the next morning at 8am, 30 minutes before everyone leaves home for the day. Now here’s the cost for the Daikin FDYQ200L using exactly the same time parameters and calculated using the AGL Freedom 3+ electricity plan. You shouldn’t be. The latest air conditioners are remarkably efficient and when costs are calculated in real world situations they can easily be cheaper to run than gas. Don’t forget that I haven’t included the electricity cost for the ducted gas heater to run it’s fan to move the air about. There are some very good reasons for buying gas though, such as if you live where the outside temperature drops a long way under 0C or if you just prefer the ‘feel’ of gas heating. Questions? Feel free to use our contact form and we’ll get back to you within one business day.